The United States has a rich history of women whose ingenuity, creativity, and inventions have inspired us, motivated us, and dramatically improved our lives. The stories of these remarkable women speak to the world about the vital role they play when it comes to innovation, and how we must continue our work to unleash the untapped potential of women. 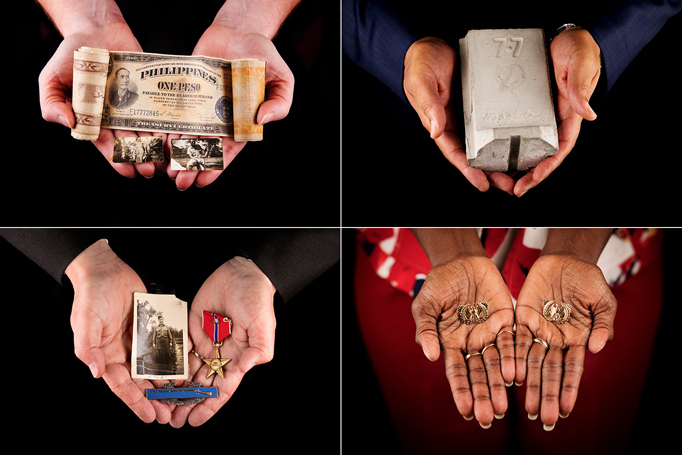 At the U.S. Patent and Trademark Office (USPTO), we regularly showcase the stories of inventors and entrepreneurs whose groundbreaking creations have made a positive difference in the world. Many of these stories have shared the amazing impact women have made across diverse fields. For example, in December 2018, Frances Arnold became the first American woman to win the Nobel Prize in chemistry for her work in harnessing the power of evolution. Motivated by the desire to do chemistry in a clean and efficient way, her efforts led to the creation of a new field called “directed evolution.” In the 30 years since she first developed this technology, she has also mentored more than 200 students and been involved in multiple start-ups based on her work. 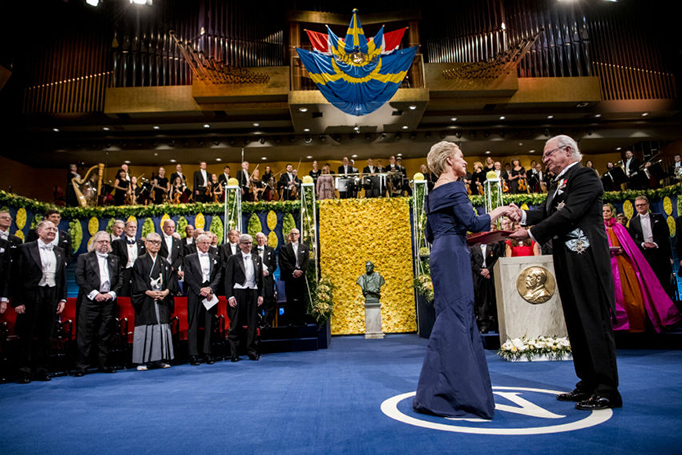 Frances Arnold receives her Nobel Prize from H.M. King Carl XVI Gustaf of Sweden at the Stockholm Concert Hall. Photo courtesy of ©Nobel Media AB/Alexander Mahmoud. Other extraordinary female inventors include Cherry Murray, who developed lab-on-a-chip and telecommunications devices, and Irina Buhimschi, who developed a life-saving diagnostic test for preeclampsia. The contributions by women such as Sarah Breedlove also stand out. 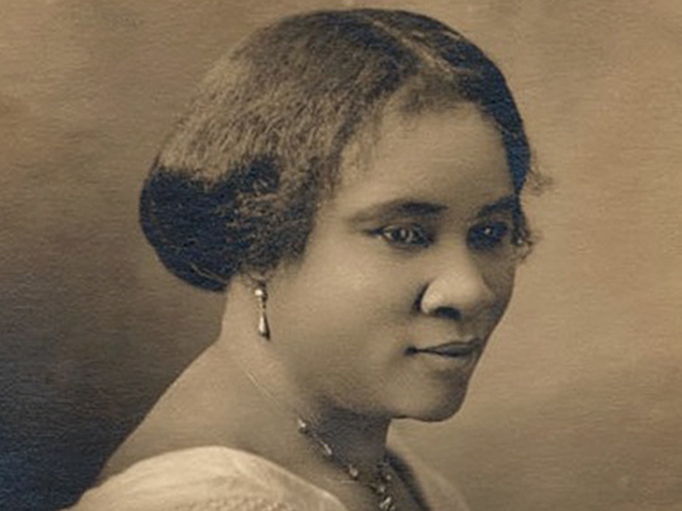 Born in 1867, Breedlove invented a line of hair-care products specifically designed to meet the needs of African American women at the age of 20. She went on to become the first self-made female millionaire in the history of our country. Inventor Sarah Breedlove. Photo courtesy of National Portrait Gallery, Smithsonian Institution. 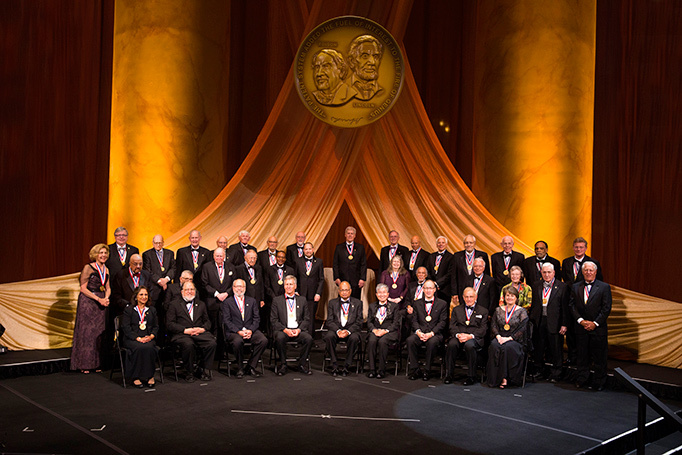 This May, the National Inventors Hall of Fame will induct another two women in partnership with the USPTO. Chieko Asakawa invented the first practical voice browser, providing internet access for visually impaired users, while Rebecca Richards-Kortum developed low-cost, high-performance medical technologies for low-income communities. Throughout the history of our country, women have helped spearhead astounding leaps in science and technology. 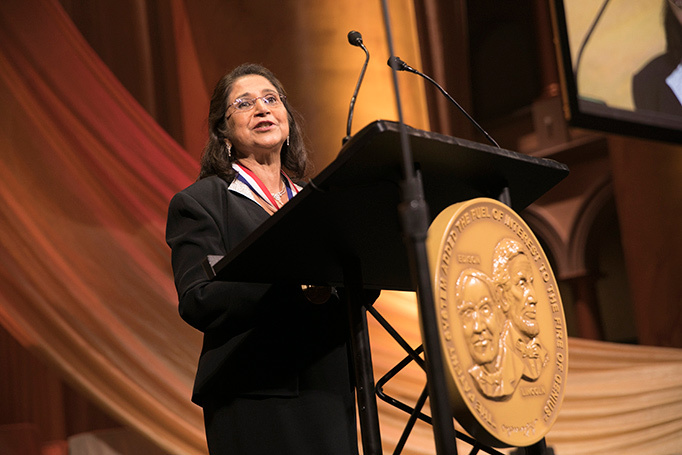 The USPTO will continue to recognize and celebrate these women whose stories have inspired the next generation of inventors and entrepreneurs. Our commitment to customer service includes having a user friendly and valuable website. 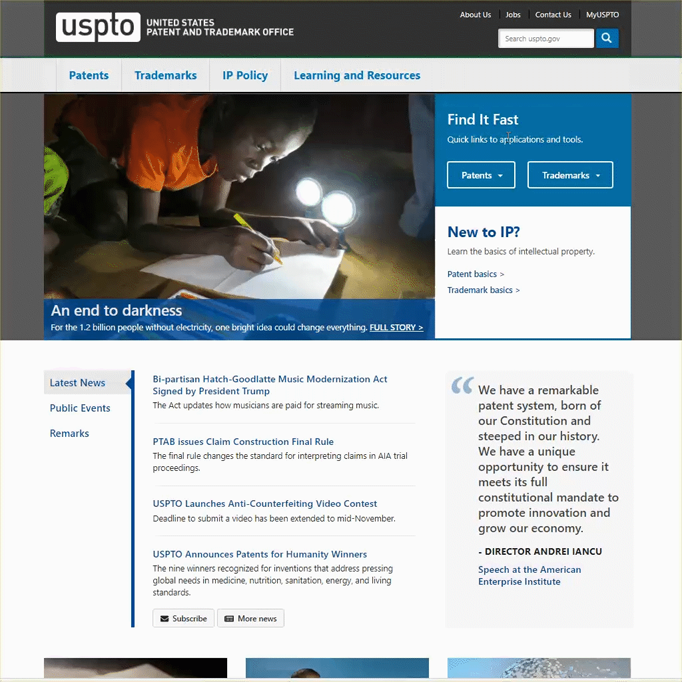 To that end, you may have noticed the USPTO.gov homepage has a new look and improved features. For starters, if you are one of the 20 percent of users who visit USPTO.gov on a mobile device you should find the homepage easier to read and navigate. Of course, we didn’t stop at mobile compatibility. If you are an independent inventor, entrepreneur, or a junior attorney, our “New to IP” section is for you. It links to practical and important basic educational resources about the USPTO. For visitors who know exactly what they are looking for, we have expanded the “Quick Links” section and renamed it “Find it Fast.” This feature provides direct links to our most popular Patent and Trademark Tools. A “Find it Fast” button also appears at the top of every subpage. To me, the most exciting feature of the new homepage is the “Journeys of Innovation” section. Each month we will highlight a new innovator story there. Currently, we are featuring Steve Katsaros, an inventor who is changing lives in the developing world. 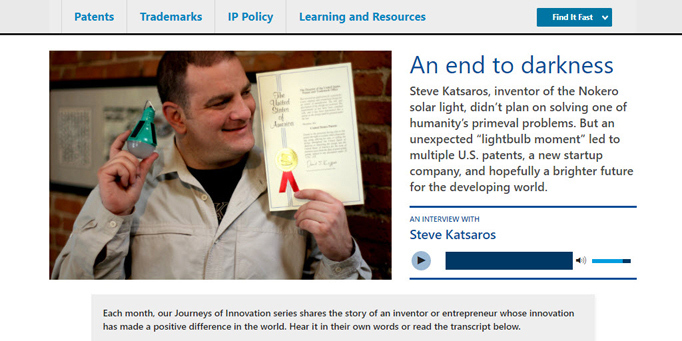 “Journeys of Innovation” provides an inviting and inspiring starting point for the USPTO.gov site. More importantly, it illuminates remarkable stories of American innovation and entrepreneurship. You will also find a variety of tabs to guide you toward the latest USPTO news and upcoming public events. The lower section of the page highlights other ways to interact with us. Some examples include the Director’s blog, upcoming events, and educational multimedia. You can subscribe to much of the content offered in these sections so you never miss an important update or event. We made these changes based on your feedback, with the needs of our many customers in mind. 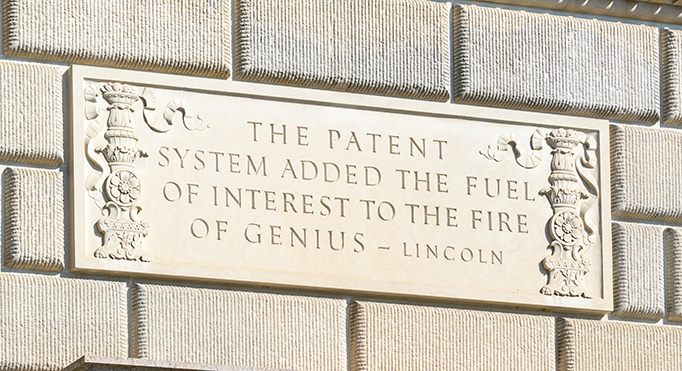 At the USPTO, we know that improvement is a continuous endeavor. So, I invite you to share your thoughts about the new homepage either below or directly to the Office of the Chief Communications Officer. To be a technology executive these days is both challenging and exhilarating. More and more, chief information officers (CIOs) and chief technology officers(CTOs) are shaping the technology agenda, driving new IT investments, and fine-tuning teams. With vast amounts of data and new digital tools, CIOs and CTOs are helping guide transformational change in the digital age. It is no secret that diversity is essential for innovation. While progress continues on this front, a gender gap remains in the tech industry. Through initiatives and partnerships like All in Stem and Camp Invention, the USPTO encourages girls and young women to pursue STEM careers. 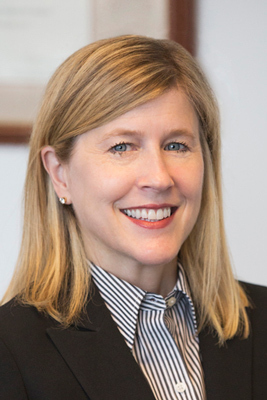 I caught up with the USPTO’s Acting Deputy CIO Debbie Stephens to talk about what inspires her and some new items on the IT agenda. [Adrienne Cox] Over the course of your career, what were some key elements to your success? [Debbie Stephens] I am a continual learner. I not only learn a great deal from my mentees (both those older and younger), but I know that when you lift others up, help them go further, and make them a part of something bigger than themselves, we all benefit. [AC] What are some projects underway at the USPTO that have you most excited? [DS] Artificial Intelligence (AI) will increasingly be a strategic asset for our enterprise and part of our innovation playbook. We kicked off an AI initiative with a Request for Information (RFI) seeking public input on how AI could help fuel efficiencies in patent search. AI is the primary focus, but we are also interested in seeing how other advanced technologies like quantum computing, machine learning, and natural language processing can help. We also have a tremendous ecommerce effort underway. EFS-Web or Private PAIR users now have a new, more secure, and simpler log-in for their USPTO.gov accounts. A migration tool is now available to link accounts and give customers a new way to gain access to multiple USPTO systems with one sign-in process. The new log-in method, replacing the digital certificate, not only saves time, but also prepares users for the transition to our next generation tool for electronic patent application filing and retrieval, Patent Center, coming in 2020. [AC] The USPTO regularly has job openings for IT professionals. What are you looking for in potential candidates—what are the skills most in demand now for our teams? [DS] We need the core skills listed in any job opening, of course. But more than that, curiosity and tenacity are critical for us to innovate. 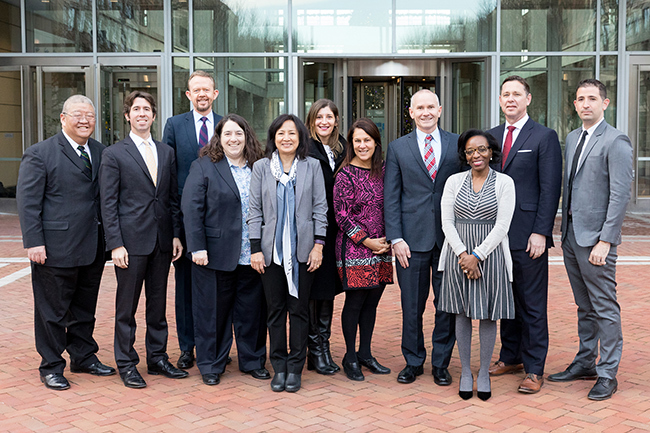 [AC] What has been your favorite moment in your time at the USPTO? [DS] One of the most exciting moments for me was reaching the Patent 10 Million milestone. 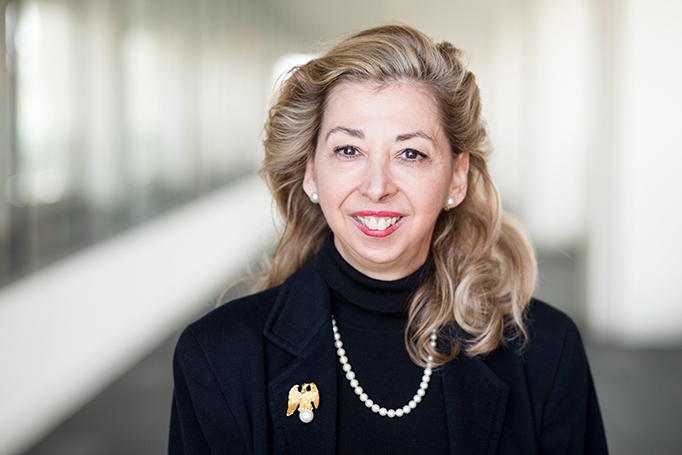 All organizational silos disappeared as the Office of the Chief Information Officer, Procurement, Patents, Office of the Chief Communications Officer, Office of General Law, and Office of Patent Information Management—six different groups—collaborated in a never-before effort to ensure the success of this historic program for the USPTO. [AC] What are you passionate about—besides technology for business value? [DS] Leadership. I am a perennial student of leadership, and am currently reading Simon Sinek on the power of why. Next up is John Maxwell’s latest book on leadership, focused on how to unlock one’s potential as a leader. Transformation in an organization needs ideas and energy from everyone. Leaders can set the agenda, but we don’t always have all the answers. So often, our colleagues are the source of insights, helping us see new dimensions in any issue. When you’re building systems as complicated as the ones we are, people need each other! The United States Patent and Trademark Office is one of those amazing places in government you may not be familiar with. The Patent Examining Corps, in particular, is filled with over 9,000 scientists, engineers and other professionals who labor every day to reward our nation’s drive for creativity and innovation and in turn contribute to the development of our economy. I was born and raised in San Juan, Puerto Rico. At the urging of my parents, I decided to seek my college degree in the mainland U.S. where I obtained a B.S. in Electrical Engineering from Florida Tech. I certainly did not know much about the Patent Office until they came to visit my school campus about 29 years ago. I signed up for an interview and shortly afterwards, got an offer. Getting a job at the USPTO was, of course, the first opportunity this agency would give me but it would not be the last. 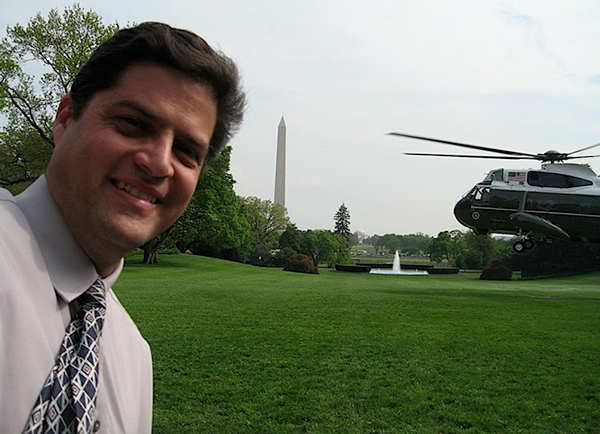 At that point, I knew one thing, I was heading to Washington D.C. to begin my career at the USPTO! I started working as a Junior Patent Examiner examining applications in photocopying machines. 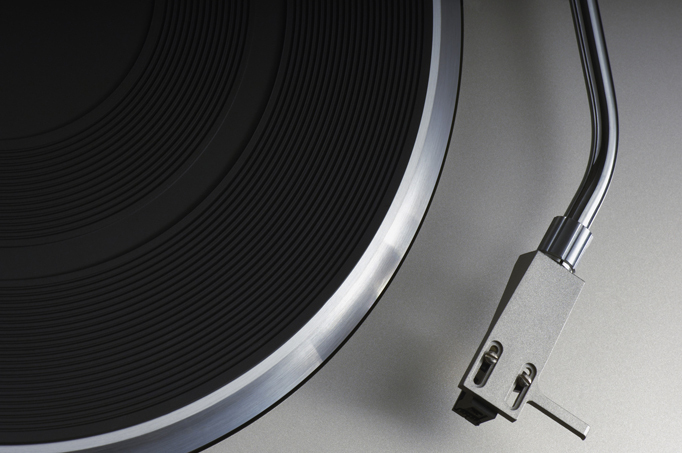 As an examiner, I saw the transition of an entire industry into the digital age. I saw them transition from basic analog machines into systems with digital capabilities. I saw the proliferation of image editing, color capabilities and the advent of ink jet and laser printers. Fellow examiners in other groups were seeing patent applications on digital cameras, cell phones, televisions and millions of other inventions that would eventually change the world we live in. Most great inventions start with a patent and working at the USPTO gave me the opportunity to see technological innovation up close. Whether you examine patent applications or work on any other branch of government as federal workers in general, we have the opportunity to help the United States become a more prosperous nation. Every single day we have the opportunity to make a difference! 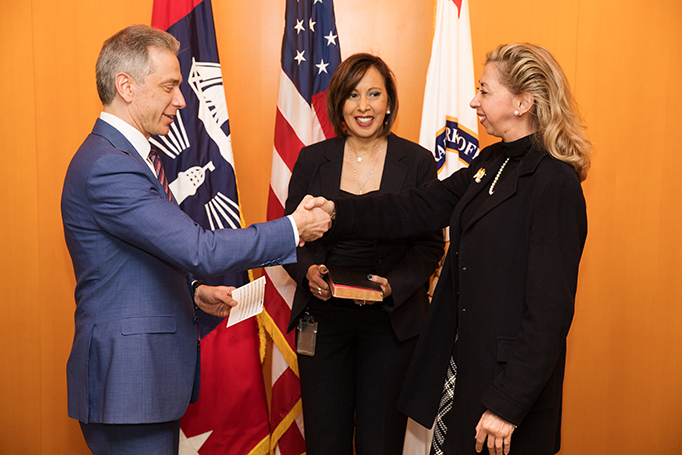 Throughout my career, I got the opportunity to serve as a managing partner in charge of overseeing the USPTO’s transition to a paperless environment. I got the opportunity to expand my education and mentor hundreds of examiners and see them grow into successful professionals. I got the opportunity to become the first Hispanic Senior Executive in the USPTO helping shape the future of this office. I also got the opportunity to join the ComSci Fellowship Program participating on a one year assignment to the Executive Office of the President where I was assigned to the Office of Science and Technology Policy of the White House and served as the Executive Director of the National Science and Technology Council. Growing up in Puerto Rico, I never ever thought that someday I would shake hands with a President of the United States. Today, we celebrate our Hispanic culture and heritage and recognize the many contributions Hispanic Americans have made to our nation. We come from many different backgrounds; South American, Central American and the Caribbean, we have very diverse histories, and very strong ties to family and to our ancestral homelands. We are an integral part of the diverse fiber of this country. We have had a significant role in our nation’s history and will have an even greater role in shaping its future. We are embracing that responsibility. As I reflect on my experience, I have enjoyed the benefits of opportunities and most importantly, I see the promise of opportunities for our future generations, opportunities for a great career, and opportunities to make a difference. The Department of Commerce and its bureaus and offices provide vital services to our nation and they are brimming with opportunities for future generations to enjoy a bright career and a prosperous future. Opportunities are out there and it is up to us to take advantage of them. 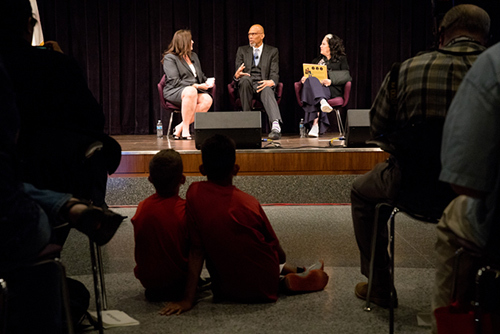 Kareem Abdul-Jabbar, NBA legend, businessman, and a registered trademark owner, shared his thoughts on African American inventors and the importance of intellectual property with the USPTO’s Linda Hosler on July 27. 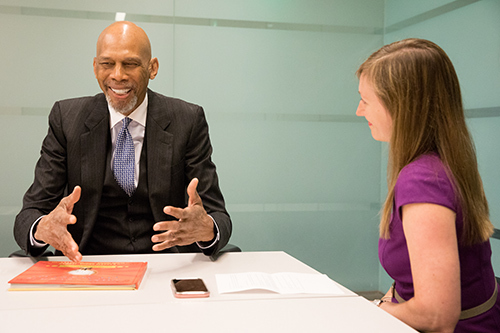 In his brief interview with the USPTO, Abdul-Jabbar said, “… science, technology, engineering and math really are the foundation for all of the good jobs where young people should focus,” which is part of the mission at his foundation, Skyhook. 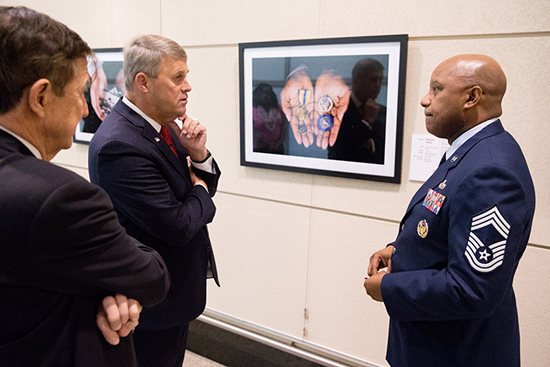 Photo by Jay Premack/USPTO. On July 27 and 28, guests poured in to the Smithsonian’s National Museum of American History to participate in the 2018 National Trademark Exposition. 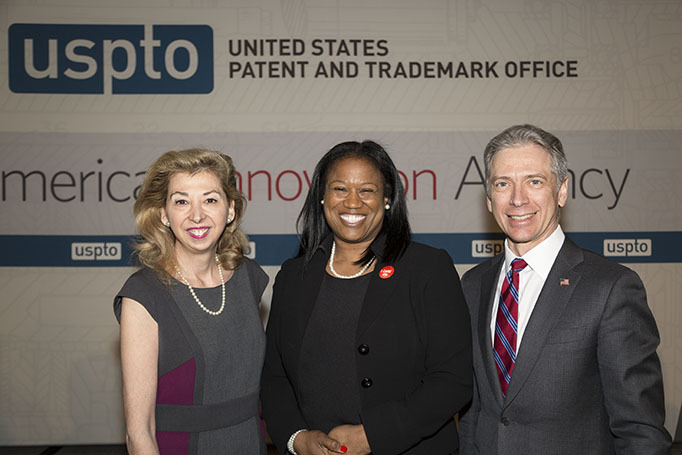 This free biennial event supports the USPTO’s mission of educating the public about the vital role intellectual property protections—in this case trademarks— play in our increasingly competitive global marketplace. More than twenty exhibitors, including government entities, non-profits, small businesses, and corporations from all over the country provided thought-provoking interactive displays and educational workshops. Keynoting at this year’s expo was NBA All-Star, author, and entrepreneur, Kareem Abdul-Jabbar. I had the opportunity to sit down with Abdul-Jabbar to find out what made him the industry giant he is today—not surprisingly, it is much more than his 7 foot 2 inch stature. Note: The transcript below is edited for length and clarity. [Linda Hosler] Could you start by telling me a little bit about how you think we can spark innovation? [LH] With that in mind—that necessity is the mother of invention—could you talk about a time in your life where you had to overcome a barrier? [KAJ] Oh yeah. Retiring really presented me with a whole set of situations. You can’t just sit around all day and think about how many points you scored against the Denver Nuggets. You’ve got to do something with your life. Writing and history were two of my passions. So, I put pen to paper, and I wrote the history book that I felt needed to be written. It's called “Black Profiles in Courage.” And I just went from there. It was one step after the other. And that's how my writing career evolved. [LH] That's fantastic. Regarding one of your other books, “What Color is My World? : The Lost History of African-American Inventors”, why did you pick to talk about African-American inventors? Have you always been interested in science and technology? [KAJ] I just started to write about the things that I felt needed some attention. So for me, the contributions that Black Americans have made to America that go unacknowledged and under-reported was my focus. So I ended up with this book. It is really important for me to connect with kids who don't understand what their legacy is, and preparing them to be productive citizens. People are always shocked when they found out that a black person invented the ice cream scoop, or potato chips, or the filament that made electric lighting possible. 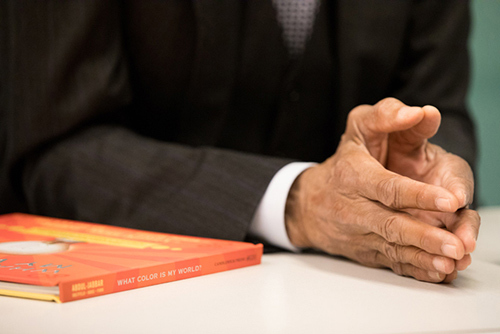 Kareem Abdul-Jabbar's book, "What Color is my World? : The Lost History of African-American Inventors” highlights the contributions Black Americans have made to America in a relatable format for young people. Photo by Jay Premack/USPTO. [LH] I'm going to shift gears a little bit and ask about the role of intellectual property (IP) in your career. You have many trademarks, including one for your name. Could you talk a little bit about the role of IP in your career? [KAJ] Well, I think as an athlete nobody can challenge your unique identity. But when you step away from the game, it's really important that people understand who you are when you enter the marketplace. My name, image, and likeness are things that have enabled me to make a living. So, you know, you have to protect that. [LH] What advice do you have for other entrepreneurs and innovators? [KAJ] Geez, it's hard for me to advise anybody. I don't know their circumstances. But I think having a plan for what you want to do is always the first step. Things don't just fall out of the sky. You have to really understand who you are and where you want to go. So that whole process of self-examination, I think, is a good starting point for people who want to be entrepreneurs. Moderated by the Vice President of Global Divisional Communications for Hologic Jane Mazur, NBA all-star Kareem Abdul-Jabbar and his business manager Deborah Morales discussed how celebrities build and maintain their brands at the 2018 National Trademark Exposition. 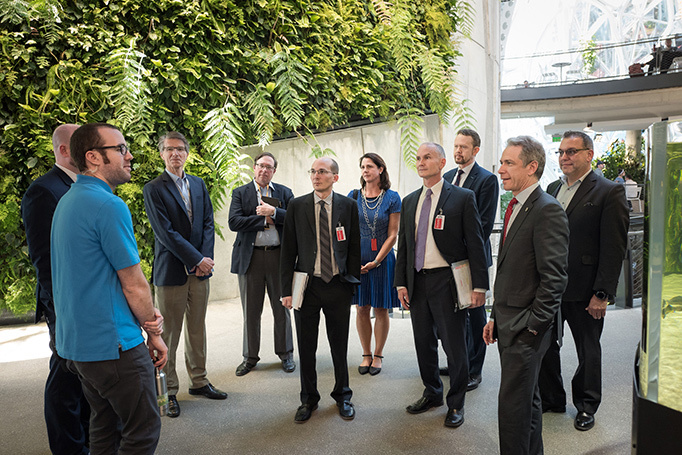 Photo by Jay Premack/USPTO. [LH] What about a young person who reads your book and is inspired by it? What advice would you give them? [KAJ] Follow your dream. Understand what your passion is and try to follow that. A lot of young people think, “Oh, I can't do that.” That's usually where they come from, because they know very little about the world and their own potential. So you have to impress upon young people that they have tremendous potential, but it takes work to realize some benefits from it. [LH] I think we’re almost out of time. So, before we close, could you tell us a bit about your non-profit, the Skyhook Foundation? 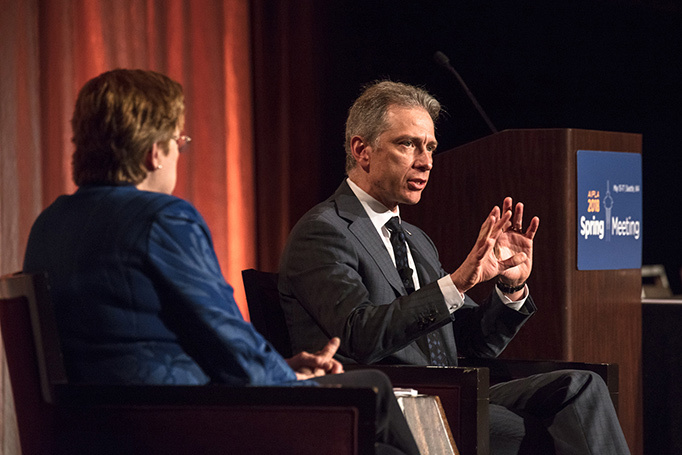 [KAJ] The mission is to get young people to understand where the good jobs will be in the 21st century. So science, technology, engineering and math really are the foundation. And the most important aspect of it is getting them to understand that they can do it. Too many kids see technology as something for other people from other parts of the world, and they don't realize that they can do it here in our country. We focus on the fourth and fifth graders and we try to help them to focus on success from an early age. A special thank you to Kareem Abdul-Jabbar for sharing his insights. You can learn more about trademark protection on the Trademarks page of the USPTO website. 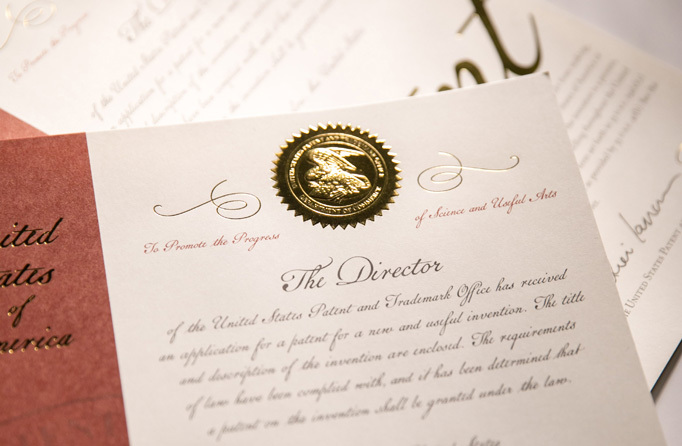 On June 19, the U.S. Patent and Trademark Office will issue patent number 10 million—a remarkable achievement for the United States of America and our agency. 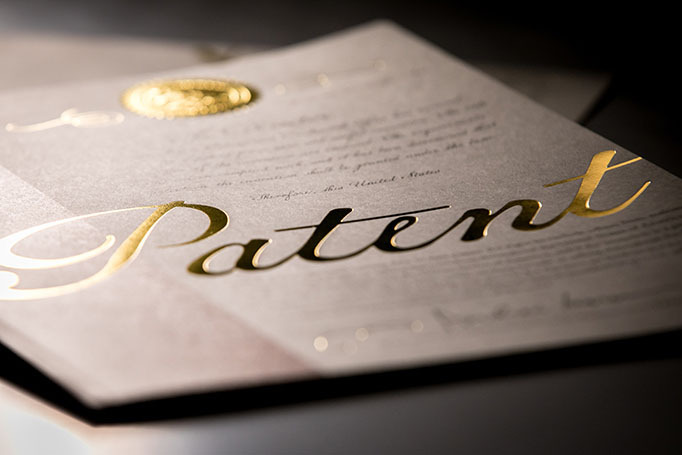 More than just a number, this patent represents one of ten million steps on a continuum of human accomplishment launched when our Founding Fathers provided for intellectual property protection in Article 1, Section 8, Clause 8 of our Constitution. 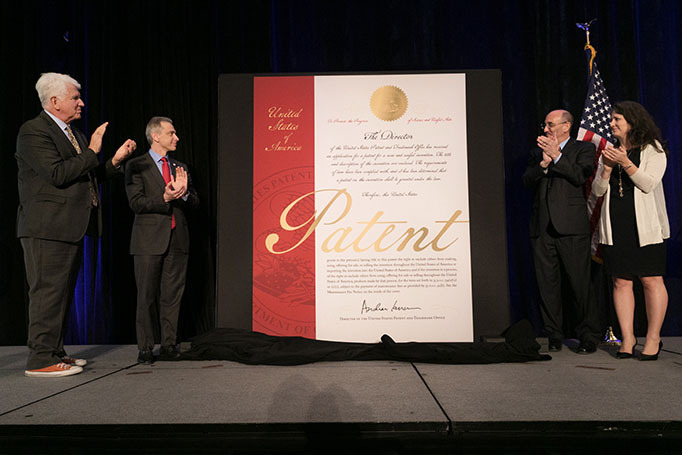 Appropriately, patent number 10 million will be the first issued with a new patent cover design, which we unveiled in March at South by Southwest in Austin, Texas. It was created by a team of USPTO graphic designers including Rick Heddlesten, Teresa Verigan, and led by Jeff Isaacs. Like the numerical milestone, the new cover design celebrates both how far we have come and the new frontiers we have yet to explore. 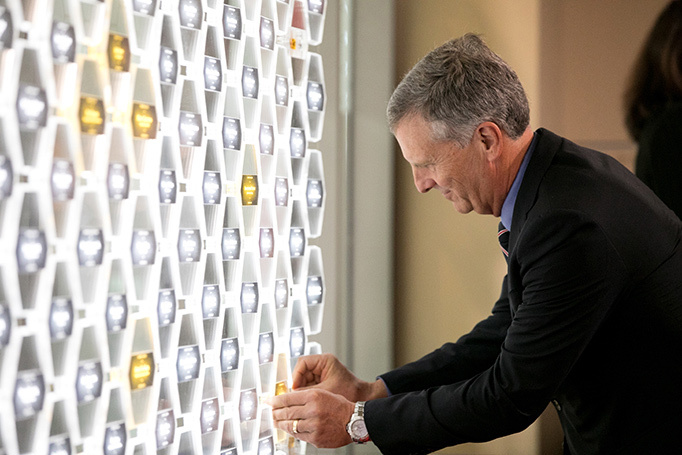 Each patent blooms from the creativity, brilliance, and determination that an inventor or a team of inventors have invested in order to bring an idea to fruition. In fulfilling our Constitutional mandate “to promote the progress of science and useful arts,” our nation has become the world's leader in innovation. Our strong IP system has delivered 10 million patents’ worth of innovation representing trillions of dollars added to the global economy. Patent examiners and the entire USPTO have played a vital role in every single one of these patents. So, in marking this historic occasion, we also honor and salute the public service delivered by all employees of the U.S. Patent and Trademark Office now, and those of its predecessor agencies throughout our history. The work of this remarkable agency has been and continues to be critically important. The future—the next ten million patents and beyond—is even more exciting. We stand on the cusp of truly historic times for science and technology. 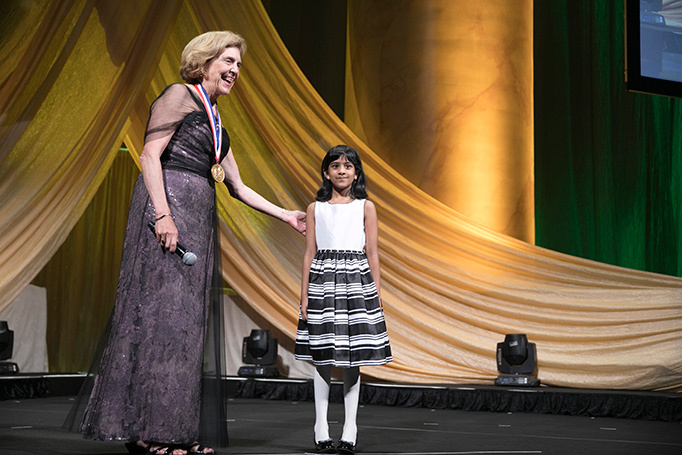 The USPTO is committed to encouraging and supporting future generations of inventors and entrepreneurs in communities across the nation who will lead us to ever higher achievements and development. At this time in our nation’s history, we are proud to celebrate American innovation, the men and women who stand behind it, and the American intellectual property system which has helped fuel it all.